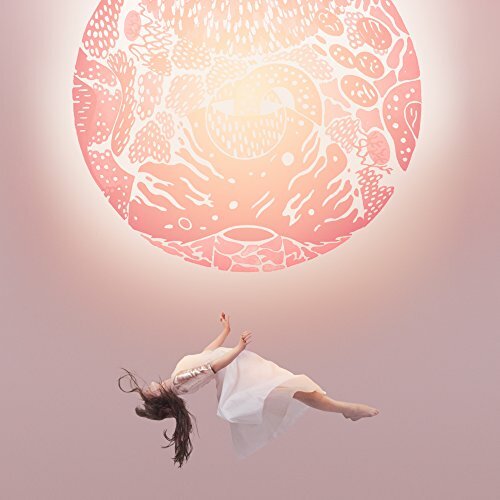 Canadian electro-pop duo Purity Ring's sophomore effort Another Eternity is full of confidence - the kind that usually follows a genre-defining (maybe even defying?) debut, which is exactly what 2012's Shrines proved to be. Here, the bold, exciting rawness is gone and instead replaced by a more fleshed-out version minus the exciting compositional quirks. That isn't to say Another Eternity is empty, far from it. Immediately identifiable as theirs and theirs only, it's more of a drying-out after the flood, on which Megan James and Corin Roddick get their bearings after the initial power-surge to continue onward for another go. There's a clear need for stabilization after you've given your all, right? So we get more of a comedown than a letdown as a result. A nicely dropped beat swells into a jock-jam-arena-sized wail on 'Flood on the Floor' as it reaches into mainstream pop territory. However, it manages to avoid full-on cheeziness as songs like these usually do. It's big-sounding, but not bland or easily dulled by repetition. Strength lies in their precision and execution of basic song-structure across the whole album, but also in poetry, especially on 'Begin Again': "You'll be the moon I'll be the earth/ and when we burst/ start over, oh, darling/ begin again." James' delivery of these lines, followed by the driving, synth-heavy beat, promises a sweet newness just ahead on the horizon - perhaps a love of some high, or other cosmic order. "My moon, oh my moon, not even into/ another eternity/ will stop your lovely orbiting." Another Eternity shows Purity Ring on a straightforward path with a smooth refinement to their sound. There's plenty to like, even love this time around. The hooks pull you in, even if the angles don't always bend, leaving a slight lack in terms of experimentation. This kind of predictability is what Shrines expertly kicked to the curb in favor of melodies that surprised and delighted with dips and turns leading to a sharp, serrated edge as it cut with a sweet, saw-like jaggedness. Ultimately though, Another Eternity is streamlined and fitting for a duo that continue to slice their way through a genre with a pointedness they can still claim as their own.